Be like Bill is an online platform that allows you to create your own “Be like Bill” Memes. Its really simple and easy to use. It also has an API to create and use Be like Bill memes on your website. Just go to: http://belikebill.azurewebsites.net/ and create random meme with your name. If you want to use your own text, use the API. 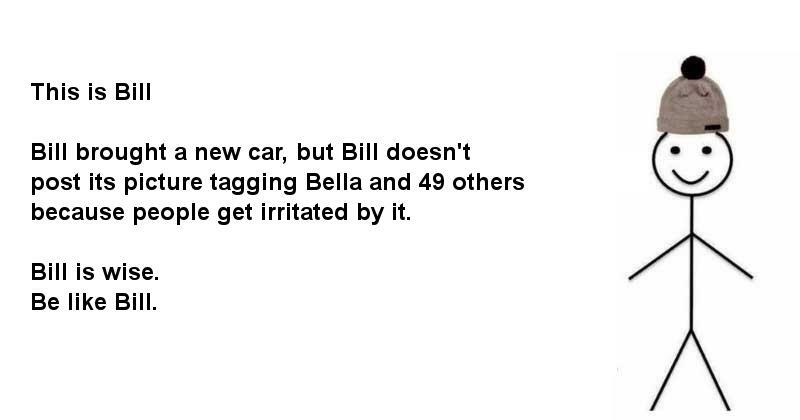 Be like bill API allows you to use your own customized version of Be like Bill memes on your website. For using Be like Bill API, you just need to call the API script by providing suitable arguments via POST. You must use %0D%0A for newine. text – Use your own text in the meme. Special thanks to programmableweb for including Be-Like-Bill meme on their blog post. Be-like-bill API is now listed on programmableweb API database.